Trust you are doing good! As a way of my introduction, I am Mudit from Janta Naswar Factory, a SNUFF (Smokeless Tobacco) manufacturing industry based in India with an experience of more than 50 years. With the use of high-quality tobacco leaves and experience of years, we manufacture the best quality snuff in the most traditional way to maintain its natural taste and feel. Well now this tobacle sure sounds interesting!! I'm new here, but welcome to the forums. Part of what drew me here (besides loving snuff) was the awesome interaction between distributors/manufactures and consumers. I look forward to your future knowledge and post! Thank you for this warm welcome, this is an amazing platform for manufacturers and consumers, very user friendly. And surely Tobacle is a must try. Good to read that another Indian snuffbrand will be available to the rest of the world outside India. I would like to try your snuffs, I really love the Indian snuffs, but google wasn't of any help. Does your company have a website? Or are there any webshops that ship to Europe? Or do I have to be patient and wait untill it will be available through a webshop like Mr.Snuff? Anyway, I wish you all the luck with expanding your business and hopefully all goes well! Thank you so much for your kind wishes, as we are expanding to exports just now, we dont have a website yet, nor any other webshops have our products, so you gotta wait a little till our products are available at mrsnuff. Hi @indiansnuffjnf! Please don't use apostrophes in this forum. On some devices/browsers this symbol cuts off the message. Apparently it just happened to your post. Waiting forward to try this new range of Indian snuffs! 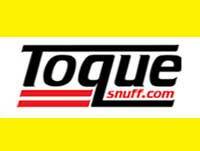 Ah, your snuff will be available at MrSnuff, that is good news! Thanks people, I thought my mobile wasnt working properly, got your point. We are also very excited to enter in the international market for Smokeless Tobacco. Hope this works well for all of us. I have a lot of respect for anything produced in India. There seems to be a work ethic and dedication to craftsmanship which we in the West are in danger of losing. I'd like to try some Indian snuff, but something puzzles me. 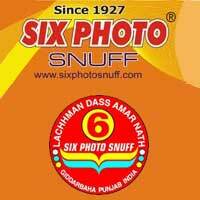 I've seen a couple of Indian brands of snuff with the word "photo" in the name. Why is this? Is it an abbreviation of photograph, or does it mean something in one of the languages of the subcontinent? I'd love to find out. Welcome to Snuffhouse. We are delighted to have you. The snuff world is such a small yet growing industry we all need to stick together. The photos helped literate buyers choose their snuffs. I'll have 6 photo today and tomorrow I'll have 4 photo. Thank you. Having done a bit of web searching, the world of Indian snuff seems to be a fascinating one. Thank you so much for the appreciation of Indian Snuffs and people over here. People in India do a lot of hard work for their living because of poverty and excess population problems, here we are dedicated to satisfy our customers to the fullest and provide the best quality product. The word "Photo" in the names is a tradition in the Snuff industry of India and people here have trademarks accordingly, the labels of Indian snuff have the number of Photos as their registered trademarks and this is how the brands are distinguished here. Thank you for this warm welcome, this is our pleasure to be a part of this family. Hello @Mudit. I am looking forward to trying your snuffs. Thanks for posting here on Snuffhouse. We are just waiting for Mr.snuff to make it happen soon. Thanks, we appreciate your kindness. We have dispatched the goods for mrsnuff. Hope they will get it soon, and soon our products will be available at mrsnuff. We really appreciate your patience, we are also very excited to hear the reviews. Use snuffstore's search bar and browse for Red Label Black, White Horse Gul, White Horse White, Laxmi Gulab Sihori, Punjabi Janta snuff. says "sorry we are fresh out"
@jeffecrycraft1 That's a common issue with the new arrivers in MS house, they just haven't been entered into their own category or catalog yet. Same "fresh out" thing was happening with the latest Dholakia stock for the first few days recently. They are here, though, and ready to go at snuffstore.co.uk (just added a tin of each in my cart there). Does anyone here ever worry about quality control issues (health) regarding Indian snuff? I'm a bit weary. @Konrad_von_Marburg I've never had a problem, though I've only used 6 photos and Dholakia. Never even got a cold, besides I don't think I could do without Super Kailash now. And soon our own category will be entered till then you may please search our products, browse for Red Label Black, White Horse Gul, White Horse White, Laxmi Gulab Sihori, Punjabi Janta snuff. Hope you peeps like our products and found the quality upto your expectations. Indian snuffs are famous all over the world and are widely used in India & abroad. You may try initially in small quantities, won't be of any trouble for you.